then hurries away, flies out of sight. is soon revealed in the face of lies. her silence that stalks at the side of a row. though it’s her passing that we try to distort. but it’s to her tune we move our feet. 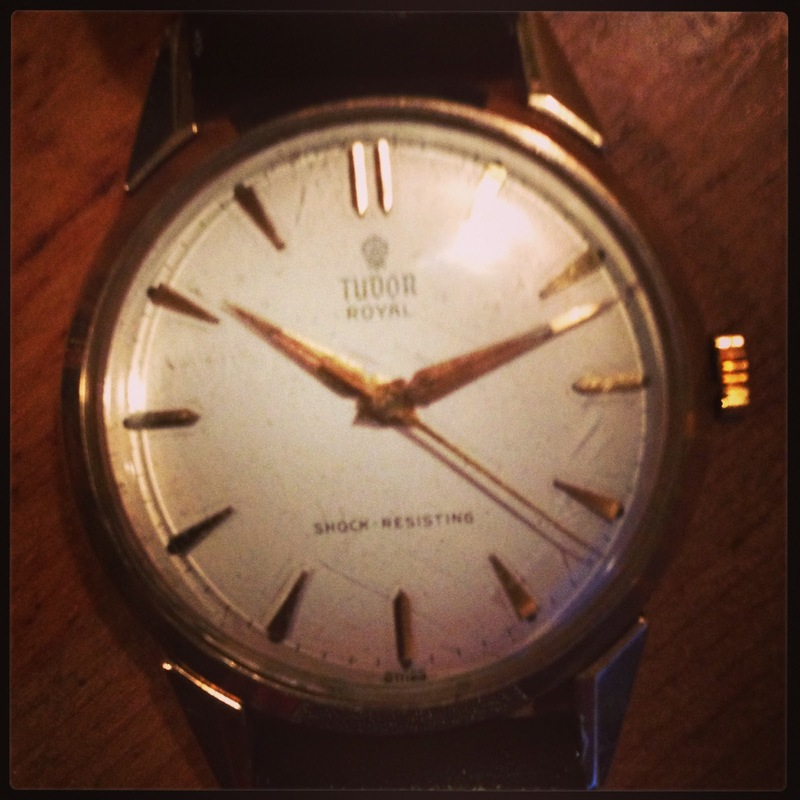 I received this watch as a gift, a gold Tudor Royal Rolex, which is from the 1950s. I only started wearing it recently, as like the poem says, time is not only our slave but a beauty. It really does look stunning on. Time is a funny thing; it is our slave, our friend, our enemy but when time becomes a healer or something that is the middle between something positive, a next step even, it works in our favour. However, time for me this month has not been on my side and I have tended to neglect blogging and social media since Easter. Daily presures and life events take over the time that I enjoy, for what ever reason, but many of you will know why. But bear with me, I am away for a while but in the mean time, enjoy the poem by the award winning creative writer and poet Kate Oliver.